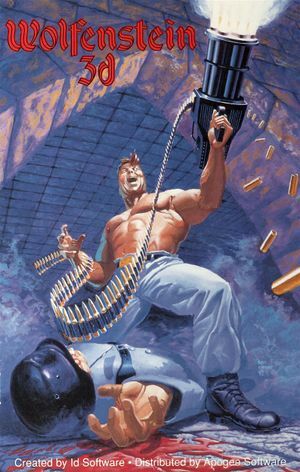 Wolfenstein 3D source code was released in 1995, making the game very mod friendly. Released in either the Original Missions or the Nocturnal Missions editions. Released in either the Second Encounter or the Third Encounter editions. Pre-packaged with DOSBox. Comes bundled with Spear of Destiny. Not available for purchase in Germany. A web browser version of the Original Missions is also available. Some legacy options have been removed. Mac OS version of the game is basically a port of the console versions (high res sprites, front facing enemies, extra weapons, ect). 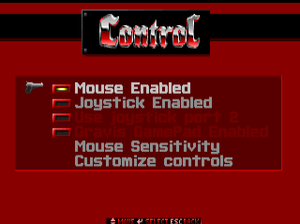 However, unlike the PC version, it was designed for modding; custom levels (referred to as Scenarios) were readily selectable from the episode menu. It should be noted that the Shareware version of the Mac port was known as the First Encounter while the retail version known as the Third Encounter contained ports of the original PC levels in addition to the console levels; Second Encounter was the standard version. Second trilogy expanding on the Original Missions. Included in all digital releases. Map compilation pack, available as freeware on 3D Realms' Wolfenstein 3D page. 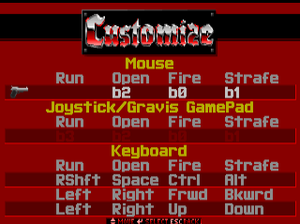 Includes some utilities as well, including a front end map selector, a map editor and a random level generator. Patch 1.1 can be found here whilst 1.2 ("the elevator fix") can be found here. UltraWolf is an unofficial patch that adds Gravis UltraSound support to Wolfenstein 3D. Note that it is not compatible with version 1.4. Additional sound effects can be found here. 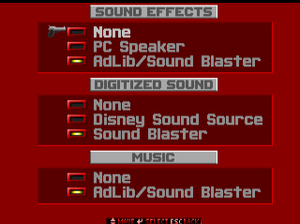 WolfMenu is a mod frontend for Wolfenstein 3D under DOS. ECWolf Based on Wolf4SDL and ZDoom code. Provides many useful features such as support for wide screen resolutions and unlimited save slots, and aims to provide a wide array of mod editing capabilities. Experimental support for the Macintosh port is also available, see here for more. BetterWolf Slight modification of the original DOS version. Adds proper strafe keys, an optional auto map replacing the HUD's weapon icon and crosshair. Fixes the sprites of the game and its expansions and adds missing rotations. Frame rate is capped at 70 FPS (even when using ECWolf). Use a source port or DOSBox keymapper. Go to <path-to-game>\base and edit wolf3d.conf. The external menu program tries to rename some files using wildcards which DOSBox does not support, thus causing the crash. Place 4DOS.COM in the root of the mounted C: drive. Enter SET COMSPEC=C:\4DOS.COM in DOSBox prior to running the addon. For convenience, put the SET command in the autoexec section of a configuration file dedicated to the game. It is advised to re-install Wolf3D and the addon due to leftover files that didn't get renamed. To make the map descriptions work, place FreeDOS's MORE.COM into Wolf3D's root folder. Setup a Mac emulator for the classic OS (or use native hardware) and install MacPlay's Wolfenstein 3D on the disk. Copy the data file and executable app and MacBin them. Rename the binary wolf3d.bin and the data file wolflvls.bin. Copy them to your OS X machine and into the data folder for ECWolf. Download this shim file and place it in the data folder with the rest of the files for ECWolf to detect the scenario. ↑ 2.0 2.1 File/folder structure within this directory reflects the path(s) listed for Windows and/or Steam game data (use Wine regedit to access Windows registry paths). Games with Steam Cloud support may store data in ~/.steam/steam/userdata/<user-id>/2270/ in addition to or instead of this directory. The app ID (2270) may differ in some cases. Treat backslashes as forward slashes. See the glossary page for details. This page was last edited on 27 March 2019, at 18:34.